Open A Lock And Learn Some Interesting Facts About Your Personality! This test will help you to rush into the very depths of your subconscious mind and learn some interesting facts about your true nature. 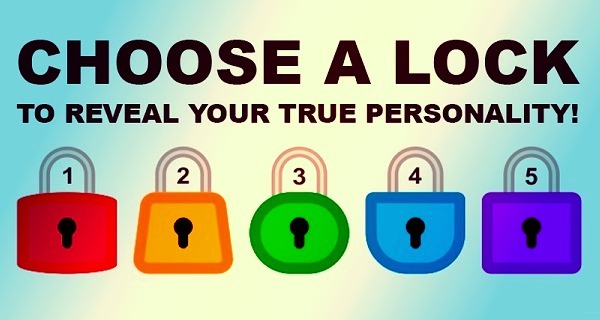 Do not hesitate to choose the lock that attracts you most, and find out what kind of person you are. You are not afraid of difficulties and conflicts. Problems, tasks, and difficult situations, on the contrary, motivate you. You are a strong person! At the same time, you are too pushy and bossy, firmly convinced that everything you do will be better for everyone, though. Learn to listen to other people and, believe me, you need an extraordinary strength and courage to strike a happy medium in any relations. People love you for your positive outlook. You are a cheerful and kind person who will always support, listen and cheer. You can be shy in a new company, but in a circle of “your own” you will make jokes and emit fun. You are a creative and slightly eccentric person. And only when you are alone, you can feel down and even depressed. For you, this is a kind of reboot. You are able to inspire and cheer up the people around you. Sometimes your impulsiveness frightens others, though. You are full of youthful maximalism, and you always crave for new emotions. If you do not turn your emotional excitement in the right direction, it can end up with nervous breakdowns and scandals. Don’t let this happen! Turn to sports or meditation! You know how to organize yourself. You are responsible, punctual and others know that you are the person they can rely on. You can achieve much in life. However, sometimes it is hard to relax for you. Try to avoid pressure, remember: you can do more when you had a great rest before. Sometimes you amaze others with your intuition and inner instinct. You always look deeper inside! You are interested in the issues of being, the meaning of existence and finding inner harmony. You would have made a great philosopher or spiritual leader. You are attracted by mysticism, religion and the secrets of art. You have a passionate nature and sometimes people find difficult to understand you. But anyway, do not hide your essence under the mask, if you manage to meet like-minded people, you can achieve very much. Each person has a different personality type. Psychology has tried to classify individual personalities based on certain parameters. 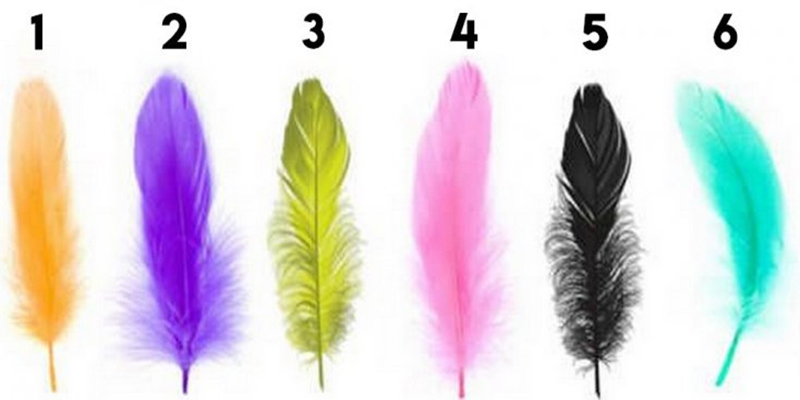 Based on the theory of color and shapes, a psychologist believes that choosing one of these six feathers can reveal a lot about your personality. Carefully observe the six feathers. 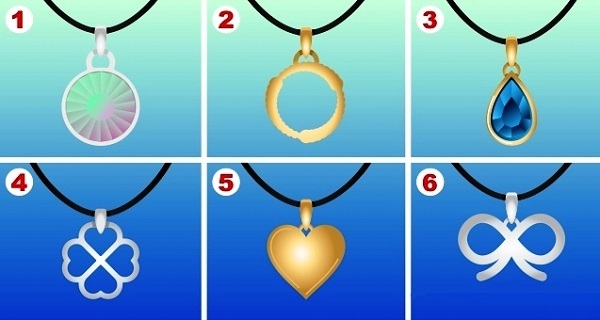 Concentrate on the color and shape and choose that which you like most or that with which you most identify. 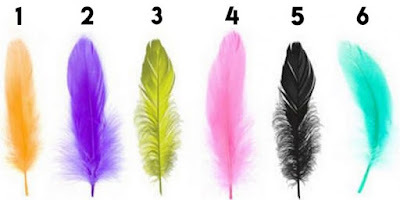 Then, read the result of your chosen feather and you’ll see the results are surprising. You’re an imaginative person. You like to improve yourself and you have a strong character which many can misinterpret as bossy. You’re a perfectionist and efficient, however, you feel bad when something doesn’t turn out as you had hoped. You can renew yourself and adapt easily. You learn quickly, but you tend to be a little isolated, given that you like to learn on your own; however, the people who love you will always be there to support you. You’re enterprising. You love to feel active and have a lot of projects, although it’s hard for you to focus on just one goal. You love harmony. You always try to help others. You like to be surrounded by people who love you and you look for common interests. You’re extremely creative and artistic, although sometimes you don’t trust yourself or your abilities because you’re afraid of failure. You’re independent. You don’t depend on absolutely anyone and you know you can achieve your goals on your own; however, you need to learn how to nurture your friendships. You’re a person who has a classic style and prefers not to take risks with unnecessary change. If something’s going wrong you are easily upset. You’re also fiery. It’s important to be conscious of the fact that everything flows and changes. So, try to be more free. You’re a very feminine person. In addition to physical appearance, you’re kind, peaceful and calm. You always try to smile and have many people around you who admire you. However, you’re waiting for just one. It’s possible that, because of jealousy, some women don’t like the way you are. 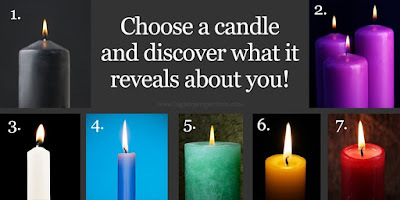 Choose A Candle And Find Out Interesting Information You! It’s said that during different times in our lives we tend to prefer different colors. There are several reasons for that. First of all, our intuition may sometimes notice facts that do not feel obvious to our brain. Second, by choosing this or that color we try to compensate for the lack of certain qualities or feelings in our life. This test is very quick and easy, but it will show you how you feel at the current stage of your life and point to a solution for the problems you might have. Many people associate the color black with negative things. The purpose of black candles, however, is to summon the strength of the people who have passed on – not the evil in them. This is why black candles are often burned during difficult periods – such as the one you might be currently experiencing. Purple helps raise your level of energy and inner vibrations. This is useful for those who are doubting themselves, or feeling exhausted by the outside world. 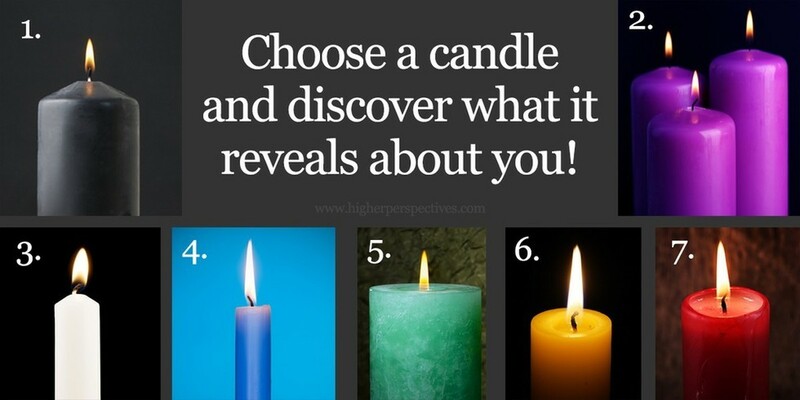 A purple candle will help you alleviate the feeling of doubt and raise your self-esteem. A white candle is a symbol of purity of soul and thought. It clarifies the mind and gives a clear view of life. If you’ve chosen this candle, you might be feeling like you have no concrete goals or clear way in front of you. When you are busy with self-reflection, burning a white candle will make it more productive. Blue is the color that symbolizes psychic abilities. It raises the level of positive vibrations in your space and helps stabilize your mood. If you are feeling mentally exhausted, blue candles will help create a healing atmosphere. In traditional Indian medicine, the color green corresponds to the heart chakra and is associated with nature. This color will help you if you are feeling detached from the world, as if living in isolation from the entire planet. Yellow color is associated with communication, clarity of mind and quick thinking. It has very strong influence upon brain centers, which is why it is recommended to surround yourself with this color when you are learning something. Red is the color of passion and courage. It is perfect for those times when you are going through a major change: like a fire this color will burn to keep you alive. A red candle is useful when you need inspiration. Boyfriend who likes playing games is good for you because he has rich imagination and is an adventurer. These guys are chill and like to stay in, which is not bad. Also, they are thankful to have a girlfriend, which makes you feel good, and glasses look good on them. These people like boyfriends like them – sometimes arrogant but sweet and gentle from the inside. You like guys who will never make you feel bored around them. You need a sensitive and caring boyfriend who will never hurt your feelings. Because you are in the spotlight, you need a boyfriend who won’t try to change that but instead let you shine. Because you can be analytical, critical and uptight, you need a boyfriend who is more sexually fluid to loosen you up and make you try something new. The boyfriend who is equally comfortable with his feminine side is perfect for you. Because you have a great charm and are social, the perfect boyfriend for you is the fun one in order to keep up with you. You will be considered the fun couple. 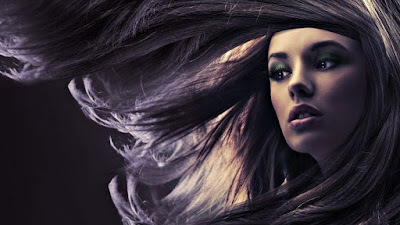 Passionate and sexual people as Scorpios need someone as sexually adventurous as they are. You are an adventurous person who loves visiting new places and meeting new people. So, you desire a boyfriend who is spontaneous and adventurous as you are. Because you are a person who has planned whole life, which can actually get boring, you need someone artistic to show you another perspective of life. You are a clever person who does not share emotions too openly. Your boyfriend should be someone who is totally the opposite in order to be balanced. You are an art lover and an artist yourself. You don’t mind stay in the shadows and let your boyfriend’s art overwhelm the world. We’ll finish the list with one of the strongest signs in the zodiac horoscope, which isLeo. Their most distinctive traits are their dominant character, always ready to direct, they’re born leaders. They’re not fearful in the face of adversity and they count with a great capacity to design plans and strategies that help them reach their goals Strenght is what occasionally make them proud, arrogant and stubborn. Connecting to intense highs of lighter frequencies, floating and flying sensations, blissful rushes of love. Lucid dreaming, astral projection, energetic healing upgrades. You see through politics, you understand the link between corporate politics, pharmaceutical, drug and arms industry. More sensitive to energy fields around us. A lot more sensitive! Breathing deeper and slower, into the solar, sacral and root chakras. Flexing muscles we didn’t know we had as the chi, the energy is drawn deep into our being. Appreciating synchronicity, number codes, nature’s language as an integral part of our understanding of how this new world operates. Experiencing deja vu, dimensional slippage, time fluctuations, flashbacks. Renewed need or drive to get on with your mission to change, heal, protect the world. 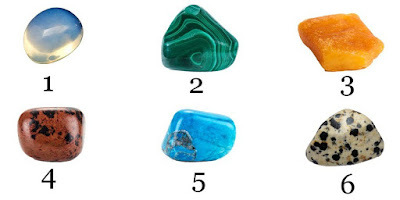 Chakra activations causing heart palpitations, low blood pressure, nausea, aches, flu symptoms. Some people being drawn to you like a moth to a light. Other people being averse to you, staying away from your energy. Being less able to adopt stealth mode, hide behind your matrix avatar. As a result being more careful about who you spend time with. Moving your body to enable and encourage energetic flow. Being drawn to chi gong, reiki, yoga. Becoming more flexible, looser, more fluid in movement. Hips and pelvis opening, chest and shoulders opening, back straightening, hips aligning. Increased empathy and a need for energetic self care to transmute and clear negative energy regularly. 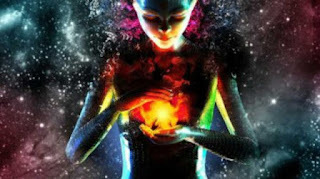 Trusting the universal flow of love frequency more. Knowing the right thing will come to you. Consciously reprogramming yourself from matrix algorithms. Heightened awareness of how, when, why the programming works and using tools to unplug. Simplifying your life. Practicing manifestation consciously. Using mantras, focused intentions and meditation throughout the day and night to reset, rebalance and realign your internal vibration. Intense periods of release of karmic and matrix toxins. Expect physical symptoms shaking, shivers, heat waves or nausea, aches and pains. Surrender. Allow. Accept. Be. Release. Practice selfcare. Feelings of depression, anxiety, despair, restlessness, sudden mood swings and very low energy can be experienced. This is the unbearable lightness of being. The overwhelming need for expansion of consciousness. Feeling connected to everything. Interconnectedness, oneness being experienced at a fundamental soul level. The matrix is not passive, it is aggressive and hostile. Global politics will drag us down. All the horrors fed to us everyday will mess with our heads. Personal dramas and challenges can destroy zen. This is ego driven matrix control. ‘1984’ here and now. It will drain us. Manipulate us. Take us down if we let it.